I've had this problem for a long time now (since Sierra). Sometimes, seemingly at random, after my MacBook wakes from sleep, the animations are sluggish and slow (e.g., transitioning to another workspace; minimizing/maximizing applications; F4 to show installed applications). I haven't recognised any pattern to this behaviour. Sometimes I'll use my Mac for a couple of weeks without it happening, and other times it happens right after every restart/sleep cycle. For example, some day ago I installed the latest update v10.14.1 and everything was fine after the update. Then I closed the lid and went for lunch and came back. After opening the lid I was experiencing this problem and it has persisted all day, even after sleeping the Mac twice for about 30min during the afternoon. This is incredibly tiresome since it seems to only be fixed by restarting the Mac. Not only this, but this isn't the performance and smoothness I'd expect from an Apple device... (for example, scrolling most webpages as I write this report in Safari v12.0.1 is extremely sluggish). Overall the performance of CPU bound tasks like running applications, compiling, Docker containers, all seem to retain the same performance. This seems to affect anything regarding graphics (even vim inside iTerm2). I've had the suspicion for some time that it's caused by Chrome. Just now it was very smooth. 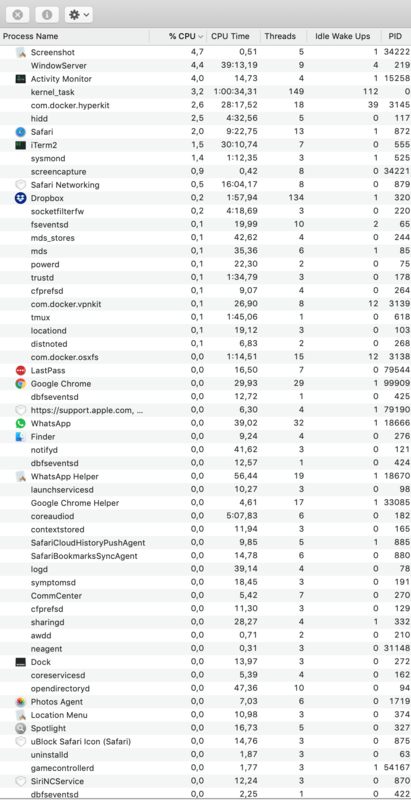 I opened Chrome because I'm developing an application (I use Safari for all other browser related tasks) and just about 3 minutes later it started becoming sluggish. However, closing Chrome doesn't fix it and there are many times where I use Chrome for a long period of time and this behaviour doesn't happen. I haven't done any, I've read many different reports of similar problems but no one ever found a solution it. My next step may be to reset the System Management Controller (SMC), since I've found some reports of people fixing slow MacBooks with that. Browse other questions tagged macbook sleep-wake google-chrome performance graphics . Is the i7 2.3 Ghz CPU significantly faster than the 2.2 one?